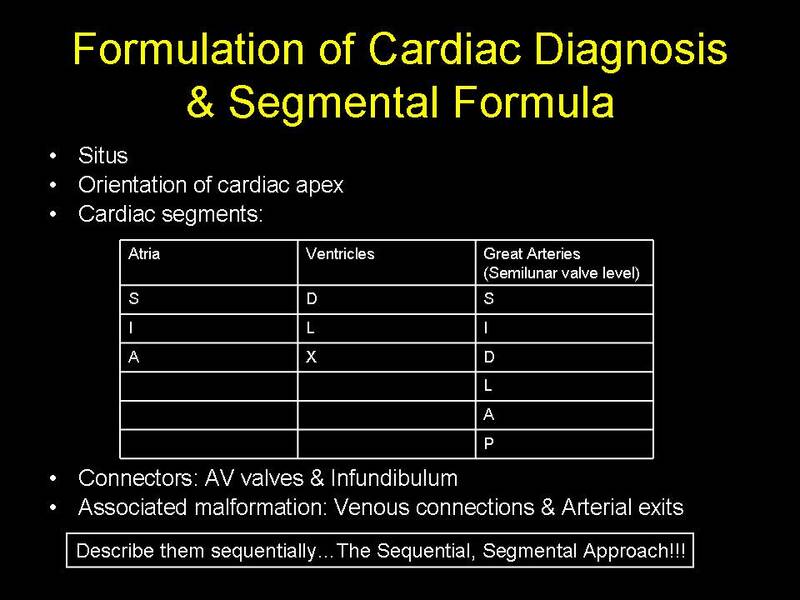 Original description: Van Praagh R. The segmental approach to diagnosis in congenital heart disease. Birth Defects;1972:8:4. 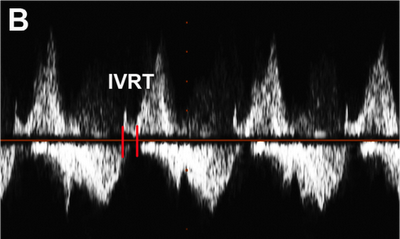 Measured from CW Doppler trace that has both LVOT and MV flows. 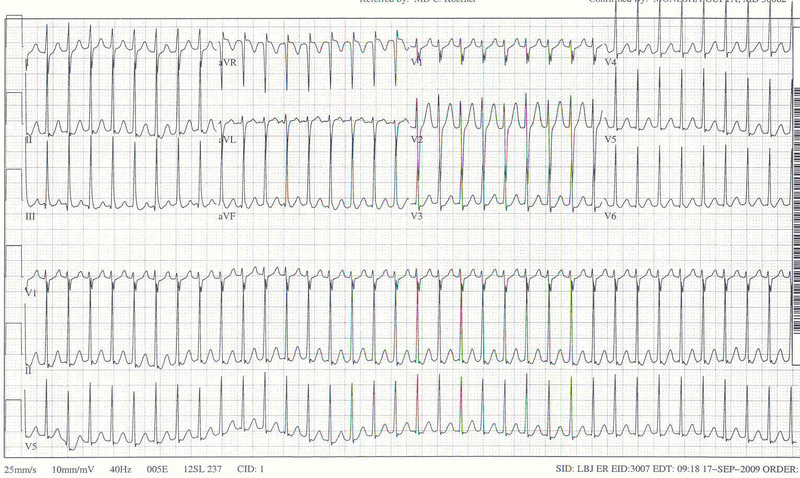 Deceleration time for E wave. 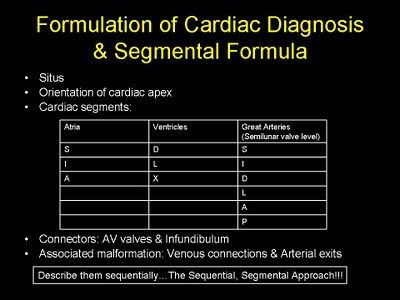 Provides evaluation of Ventricular Diastolic Function and AV valve Function. Biphasic if there is temporal dissociation of atrial relaxation and apical movement of AVV. 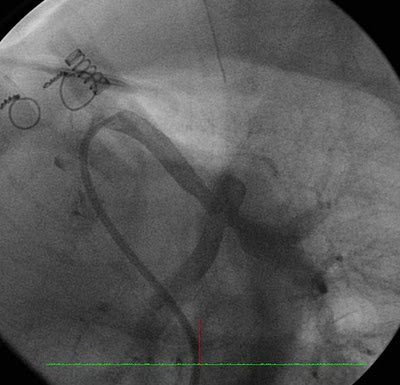 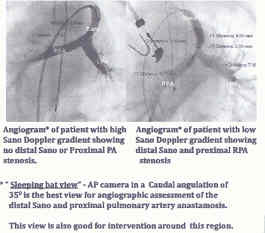 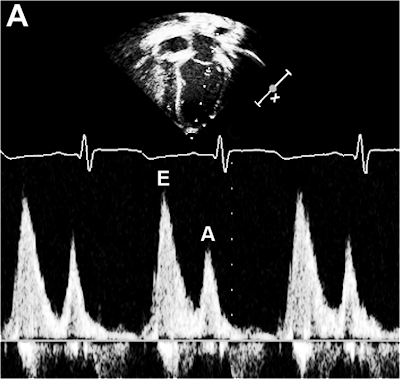 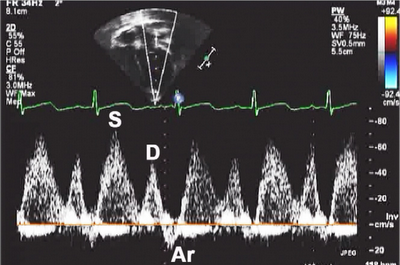 Abnormal retrograde flow occurs with AVV regurgitation & Atrial contraction against closed AVV. 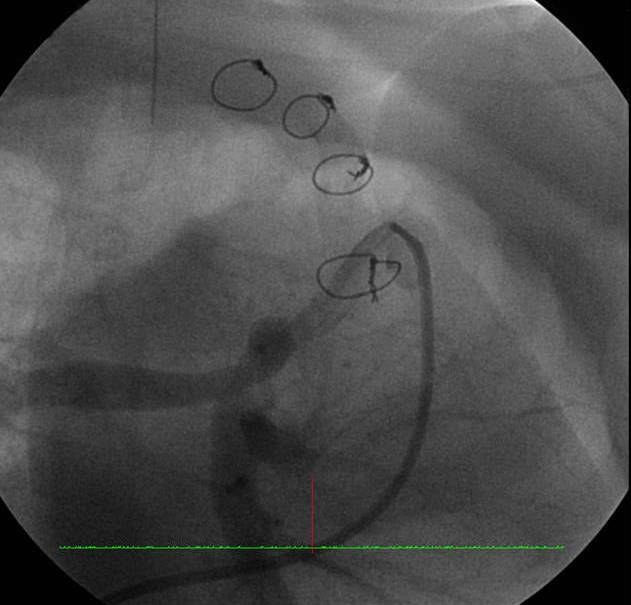 Antegrade flow occurs because of Atrial and Ventricular filling & AVV patency. 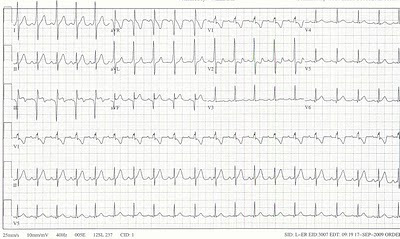 Fast HR - leads to fusion of S and D peaks. Augmented when ventricular compliance is poor. 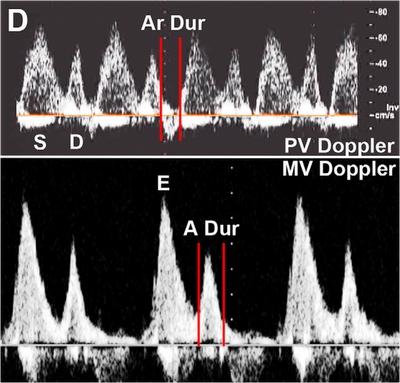 Ar wave duration exceeds MV inflow duration when LAP & LVEDP are elevated. 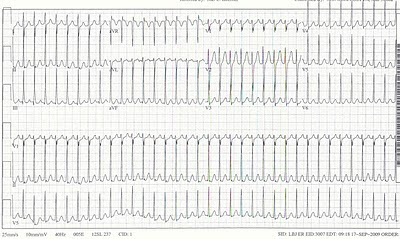 During inspiration - D wave velocity increases. 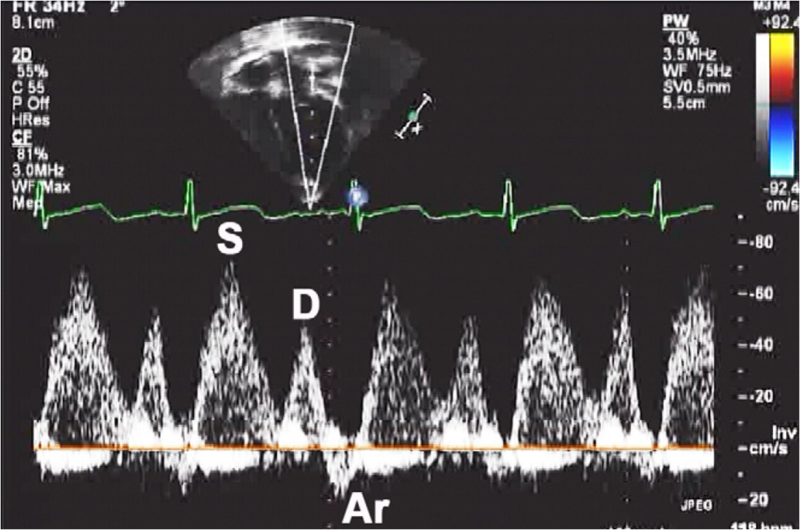 Ar wave velocity decreases. 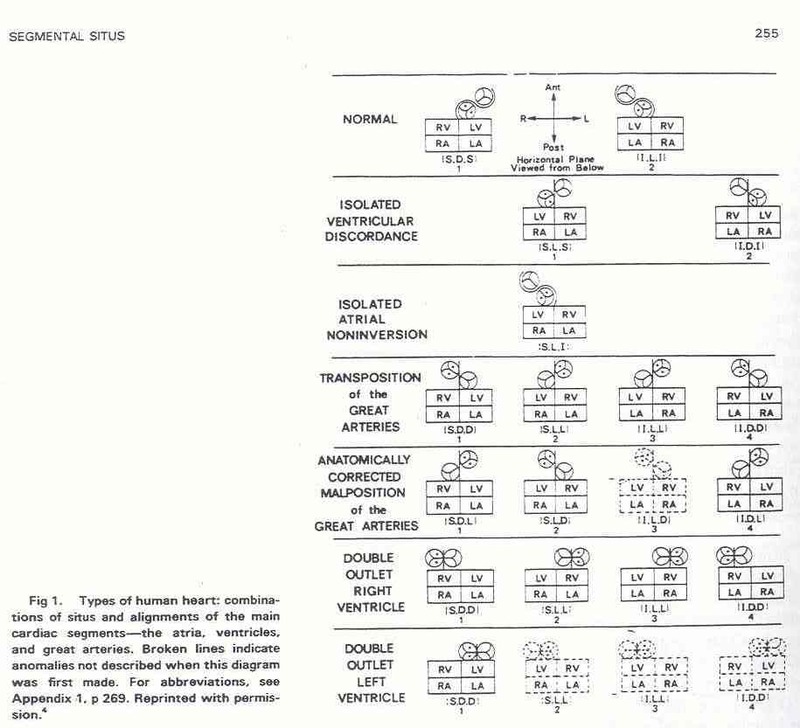 So, measurements should be made over 3 consecutive cycles. 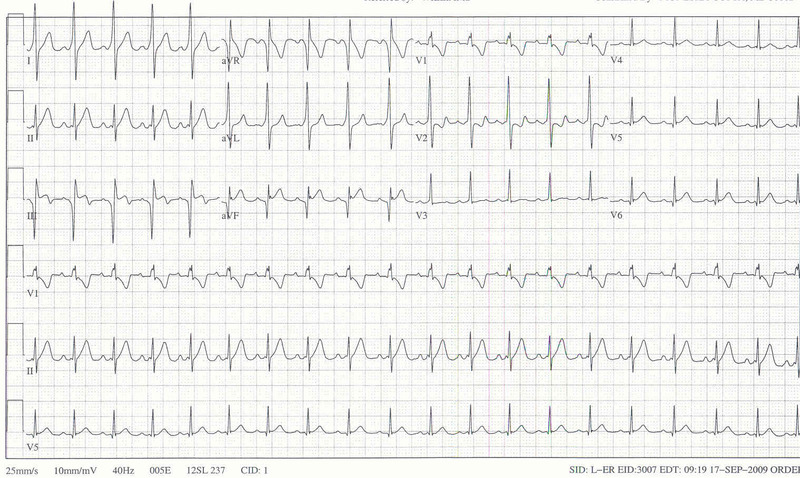 Successfully, DC cardioverted to sinus rhythm.